About this objectPhotograph; a black and white photograph of the Mataura Kilties Pipe Band marching at Invercargill in a World War One Patriotic Parade. The Mataura Kilties Pipe Band formed in 1905 and celebrated its centennial in 2005. Dwindling membership resulted in a merger with the Gore Pipe Band in 2014 to form the Hokonui Celtic Pipe Band. 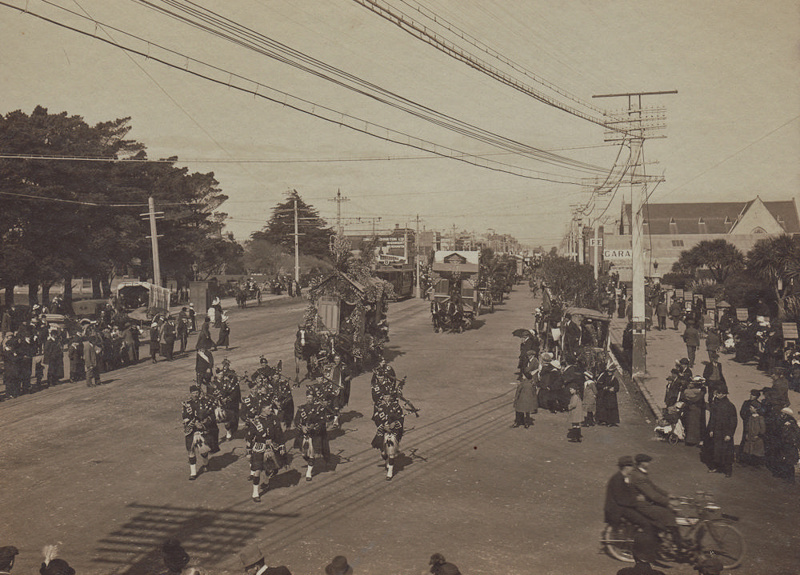 To help preserve its history the Mataura Kilties donated their photographs and archives to us. This photograph is part of that record.